Charlotte is three years old and was in nursery school when she fell ill and was brought home by other children to her mother Ivyne. She had a fever, convulsions and was vomiting. 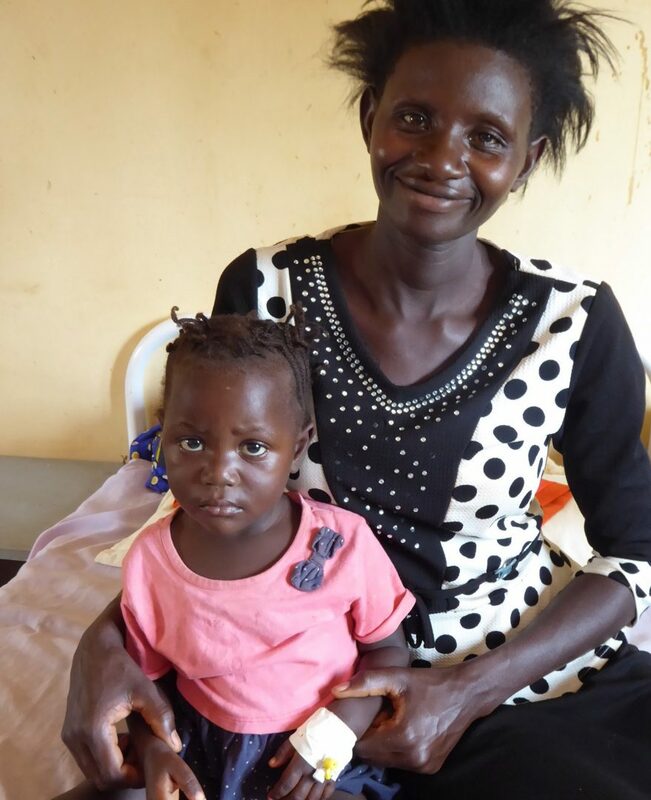 Her mum started to treat her at home for Malaria but quickly realised that she needed to be brought to the clinic immediately. Ivyne knew and liked Buburi clinic because when her son had been ill with Malaria he too had been brought to the clinic and had been successfully treated there. When Ivyne was pregnant with Charlotte, she had her antenatal care at the clinic and she had planned to give birth there too but when she was in labour and travelling to get there, she delivered Charlotte on the way! She arrived at Buburi with further complications but both baby and mum received the medical care they needed and thankfully, were safe and healthy. Charlotte is the youngest of four children and after receiving intravenous medication for Malaria, she returned home to her siblings after 48 hours. If it hadn’t been for the quick and dedicated care at the clinic then the outcome may have been very different.